Tom realizes and teaches to his coaching clients that to be fully engaged in any activity means to be present in the moment and in what you are doing right now. This task is easier spoken about than achieved. As stated this takes practice and becoming aware of one’s thoughts and actions. Now while thousands of books have been written about this subject, Tom cuts to the chase and to the core of what he believes is required of us to attain an elevated level of awareness and consciousness. 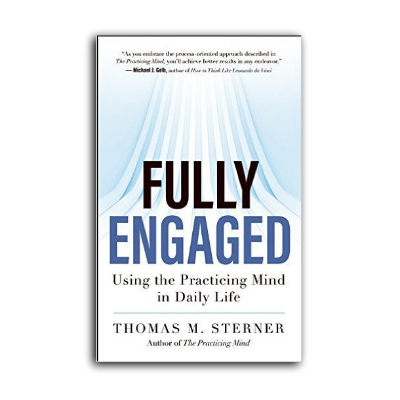 In Fully Engaged, Tom explores specific techniques, such as through awareness training and setting goals with accurate data, and demonstrates how using these techniques will not only help you reach your objectives, but will keep you engaged in each moment of your life. If you want to learn more about Tom Sterner you can click here to be directed to his website, or you can click here to visit his Facebook page. I hope you enjoy my interview with Tom Sterner.